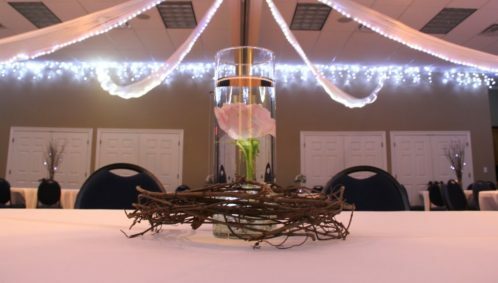 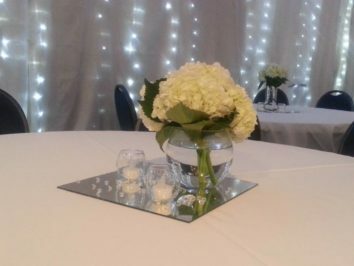 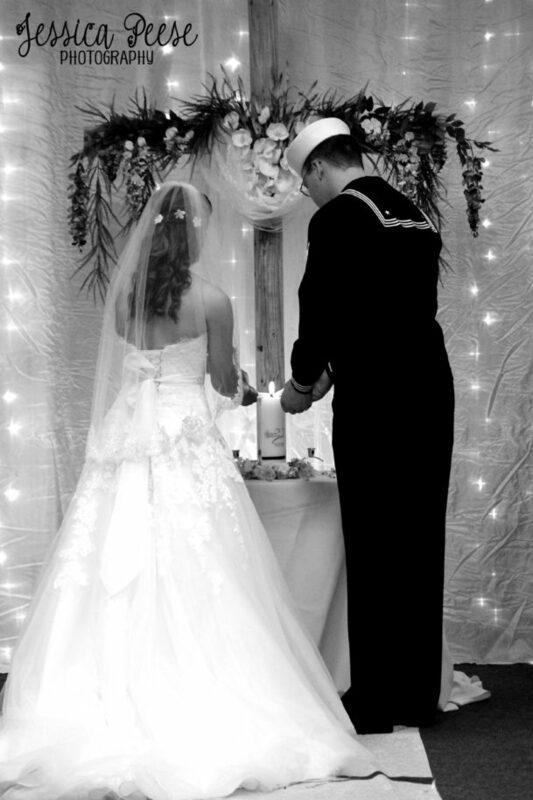 Here is an example of a wedding centerpiece using Georgetown Event Center’s vases. 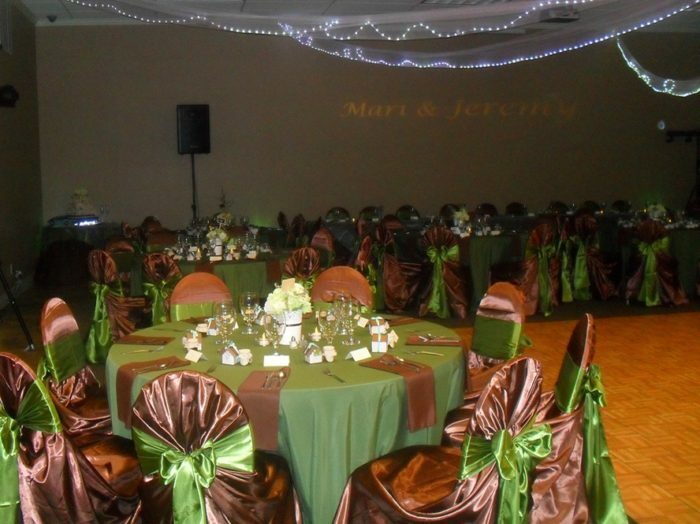 Green & brown give the events center a different look. 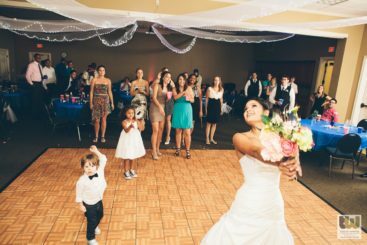 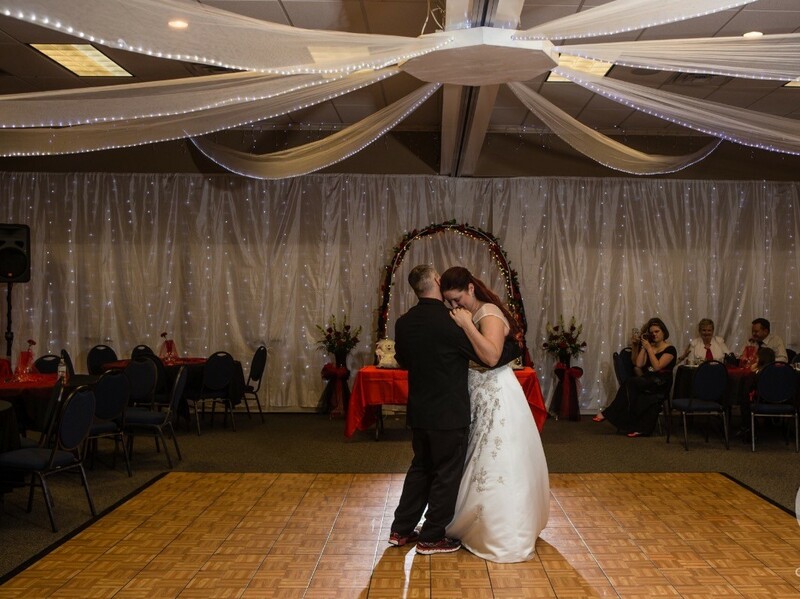 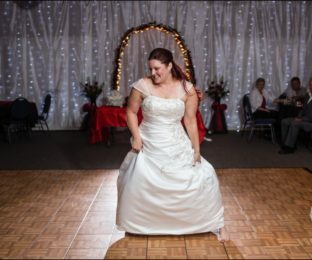 A wall of curtain lights behind the dance floor makes for beautiful wedding photos! 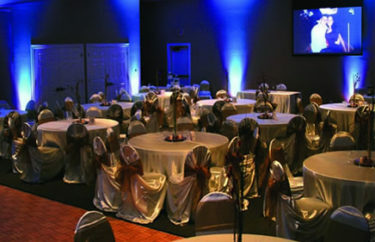 Canned lighting can add color to any room. 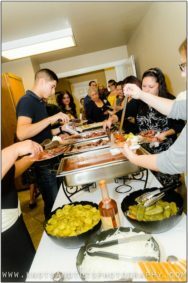 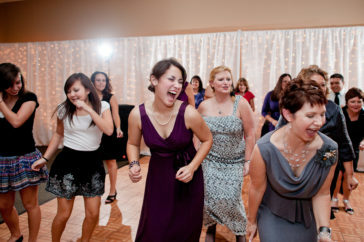 It’s available through most wedding DJ’s and rental companies. 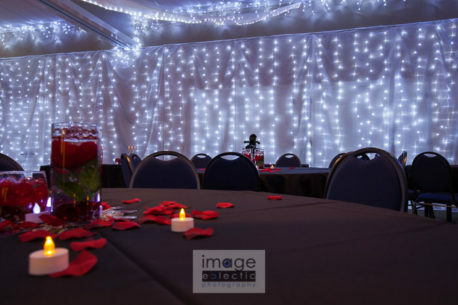 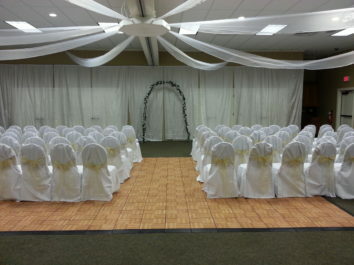 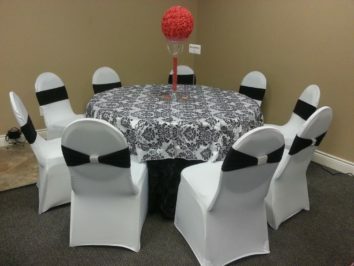 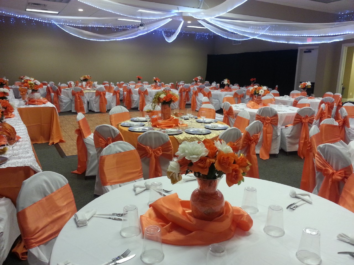 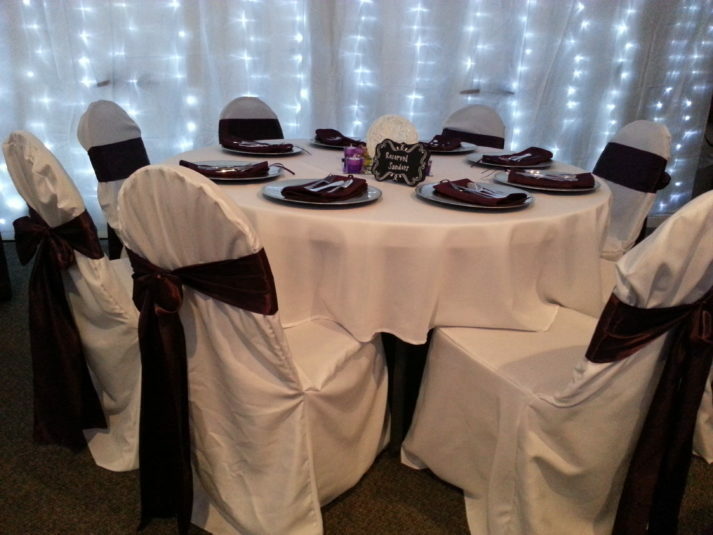 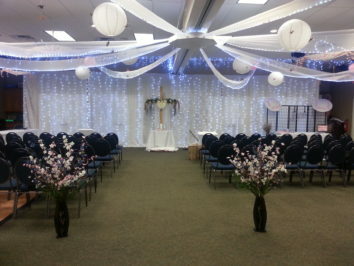 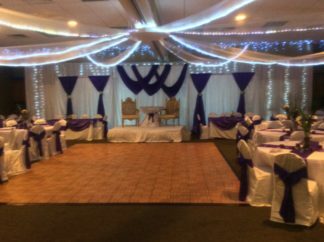 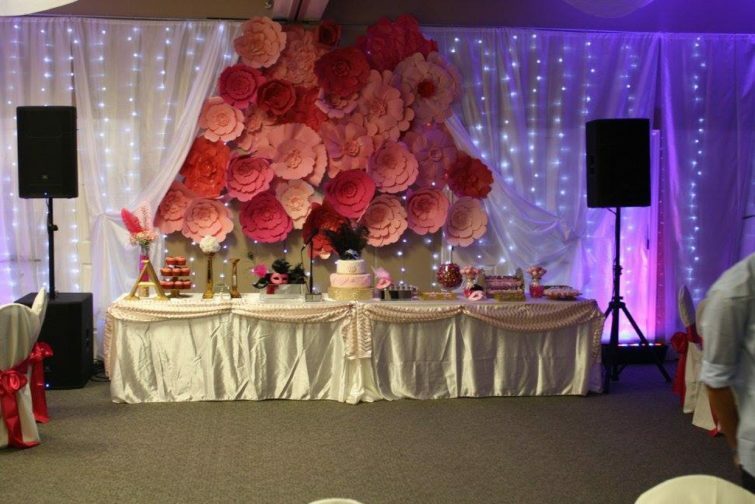 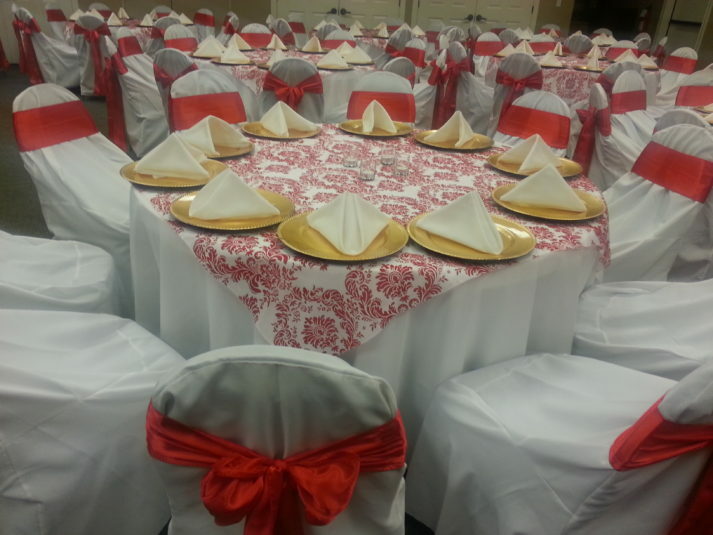 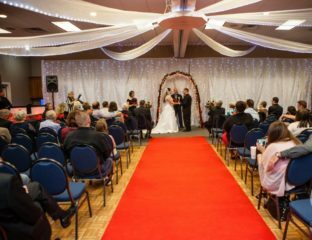 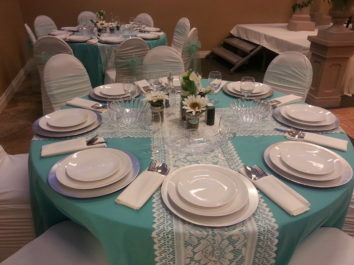 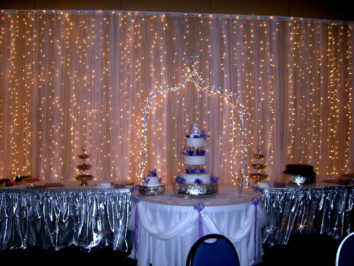 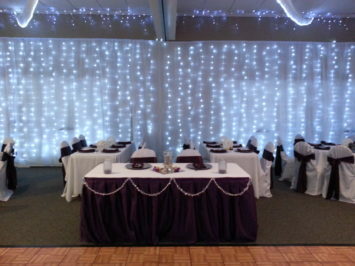 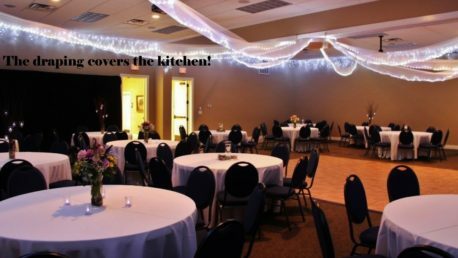 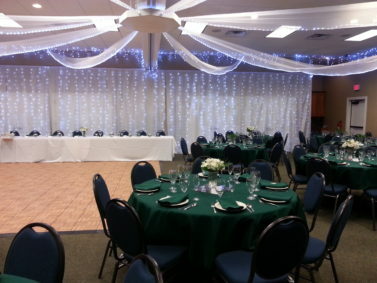 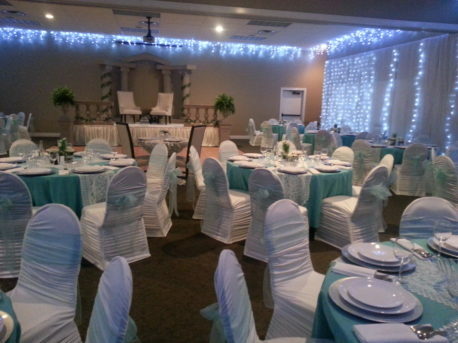 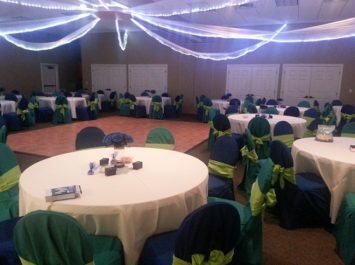 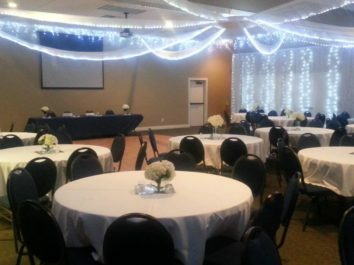 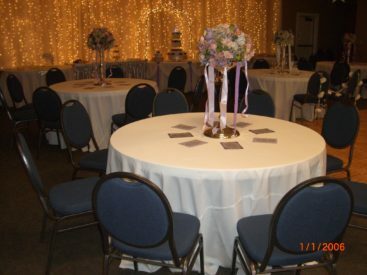 Satin linens provide a more elegant look for weddings.